Book your room at Hyatt Regency Belgrade Hotel, using this Reservation Form, or refer to Hyatt Regency Belgrade official page for online room booking. In case you book your stay online, please enter a Corporate Group Code: G-AGRO, which is available in Section: Special Rates, while entering a basic booking data. Conference Organizers have negotiated a discounted rate for all participants. However, the block of rooms will be reserved until February 28, 2018. Starting March 1, 2018 all rooms with special rate applied will be provided based on actual rooms availability for the conference dates. Please, plan and book your conference participation and hotel stay in advance! !!! CLICK HERE TO CHECK VISA REQUIREMENTS FOR YOUR COUNTRY OF CITIZENSHIP !!! Serbia has a liberal visa / migration policy. It allows nationals of many countries to travel visa-free to Serbia for the duration of stay in the country of up to 30 days. Please check the link provided above to assure your trouble-free travel. Air passengers arrive in Belgrade Nikola Tesla International Airport, which is served by most European and Asian international airlines. The travel time from the Airport to the Hotel is short, usually takes not more than 15 minutes. Hotel’s location is not affected much by business time traffic in the city due to it’s convenient location. Belgrade (Serbia) was selected as the city for the Conference location in 2018. Being a capital of Serbia, Belgrade has a well-developed infrastructure and convenient connections with various key transport hubs, as Istanbul, Frankfurt, Amsterdam. Belgrade is well connected to key cities around Europe. Belgrade is an excellent location connecting many Central and Eastern European countries. It is considered by many as a cultural capital of Balkans and neighbouring countries of Eastern Europe. Most of the business and cultural locations in Belgrade are accessible with a taxi drive, or by use of municipal commuting. The old part of the city and downtown of Belgrade are picturesque and walk-friendly, those are located in about 5 km distance from the hotel. There is a number of historic objects in Belgrade that have a great cultural value for the nation and worth seeing. Conference guests may consider staying in Belgrade for few more days before or after the Conference, to get around the city. 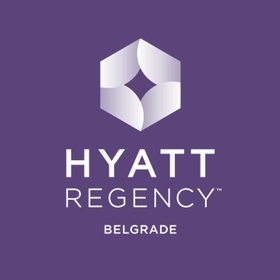 Conference management has negotiated affordable rates at Hyatt Regency Hotel for those participants, who may consider coming to Belgrade several days earlier, or stay later — after the Event. In case our participants decide to select a different location for their stay while in Belgrade, we recommend to use Booking.com or Airbnb.com travel aggregators to make your stay affordable and comfortable in all ways. Belgrade is located in a continental climatic zone. The middle of April is usually the time for sunny and warm spring days. The average mid-April’s weather conditions are: sunny days with average temperature about +15°C. Serbia is known for its meat and local food. Local wines also deserve tasting.